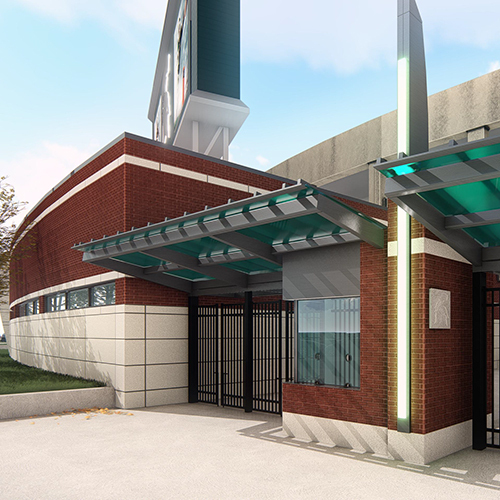 Michigan State University’s $13 million, fast-track South End Zone Addition project involved construction of a 25,000 square foot, single-story addition to Spartan Stadium. 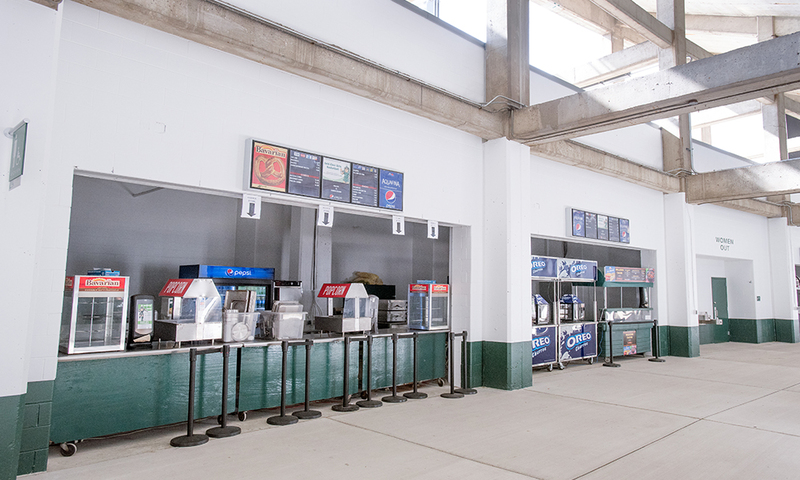 Informally known as SEZA, the new addition included adding 239 restrooms and four new concession areas. The start of football season in fall 2017 meant that both design and construction had to be completed in only seven months on a very busy university campus. Typically, a project of this size and scope would require more than a year to complete. Additionally, the project required a highly collaborative approach and delivery between the owner and construction management team. 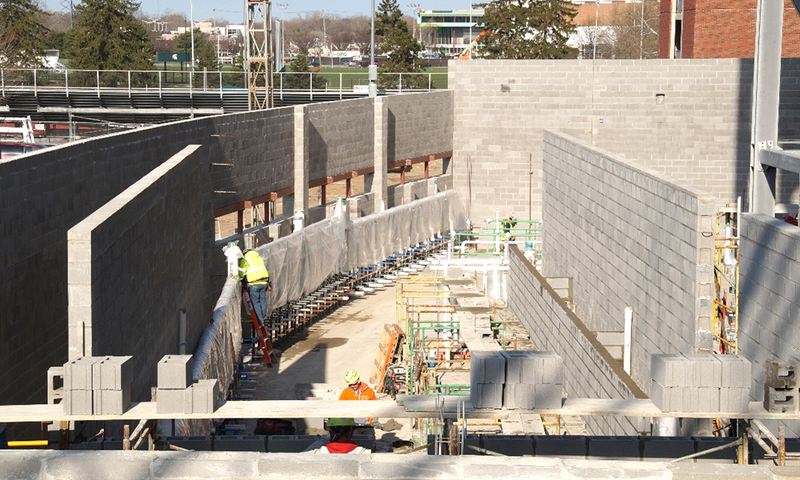 Working together, Granger Construction and MSU quickly evaluated value engineering, products/materials and construction delivery methods to enable the delivery of a high-quality product within the aggressive construction window. From the onset of this project, MSU wanted to reflect the university’s passion for sustainability and innovation. “Be Spartan Green” isn’t just a catchphrase, it’s a way of life for the nearly 50,000 students on campus. The sustainability and schedule goals for this project necessitated innovative solutions. When the team researched options for the most labor-intensive portion of the project – plumbing – they found one product that could provide significant advantages over all the others. Using a relatively new product in the U.S. – Aquatherm piping systems – and combining it with prefabrication of the piping assemblies, would generate the cost and schedule efficiencies that were necessary to complete this project in such a short amount of time. 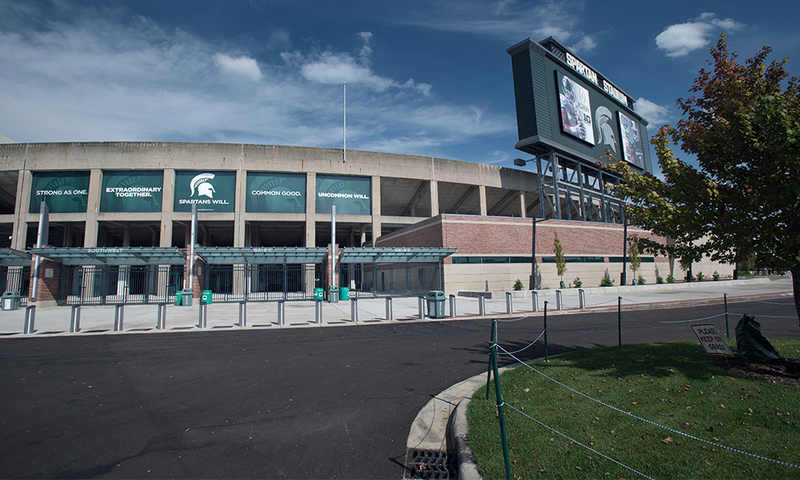 Aquatherm suited MSU’s passion for sustainability since its PP-R piping systems offer exceptional chemical purity and a flexible physical strength that differs from traditional piping systems. They are non-corroding, so they won’t break down, weaken or scale like metallic piping systems. Aquatherm pipes are also made with a uniquely stable material. They won’t react with water, are highly resistant to most chemicals and don’t require chemical maintenance. Moreover, the piping systems’ 10-year, multimillion-dollar warranty and third-party-certified environmental product declaration (EPD) means they can directly contribute to LEED v4 credits. Over time, piping systems that leach chemicals into drinking water affect both people and the local water table. Pipes that corrode or scale reduce energy efficiency and eventually need to be replaced— shortening the life of other building components that must be removed for the retrofit. Additionally, leaky pipes waste water and cause mold, reducing indoor air quality. 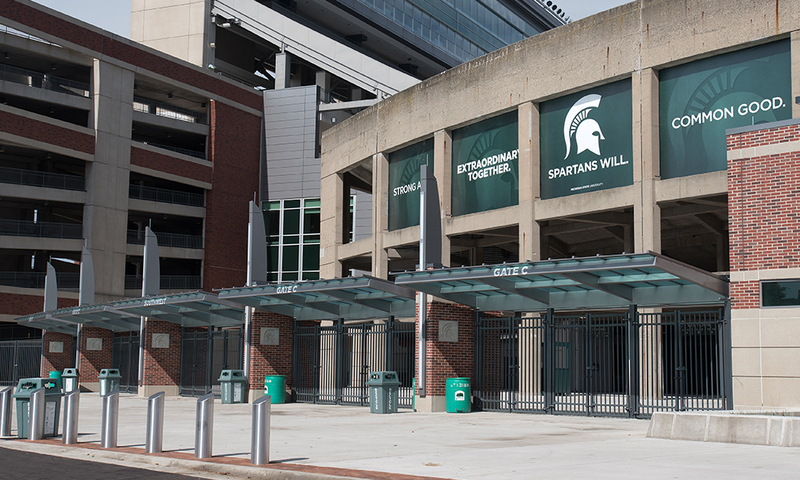 The use of Aquatherm pipes in Spartan Stadium’s new addition is designed to avoid these issues and help contribute to the University’s overall green building culture. Aquatherm’s PP-R pipe, which is corrosion-proof, chemically inert, and extremely durable, has been used in more than 70 countries for nearly four decades, but is relatively new to North America. 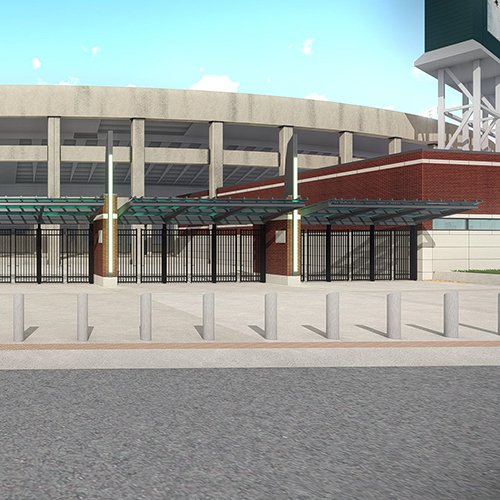 MSU’s Spartan Stadium South End Zone Addition was the first building on campus to utilize the Aquatherm product. According to Aquatherm, all competing materials require glue or mechanical joints, but Aquatherm pipes are heated and joined together. Using traditional steel or copper pipes pipes, this same process would require hours to complete and involves multiple adhesives and tools. The heat fusion process bonds both sides of a joint into a single, homogeneous material, without the use of flames, chemicals, or mechanical connections. Once fused, pipes and fittings have the same physical properties, thus eliminating systematic weaknesses that can be caused by introducing different materials into the joint in other types of piping systems. Essentially, these leak-free connections ensure a high-performance system without risk of failure or delaying operations. 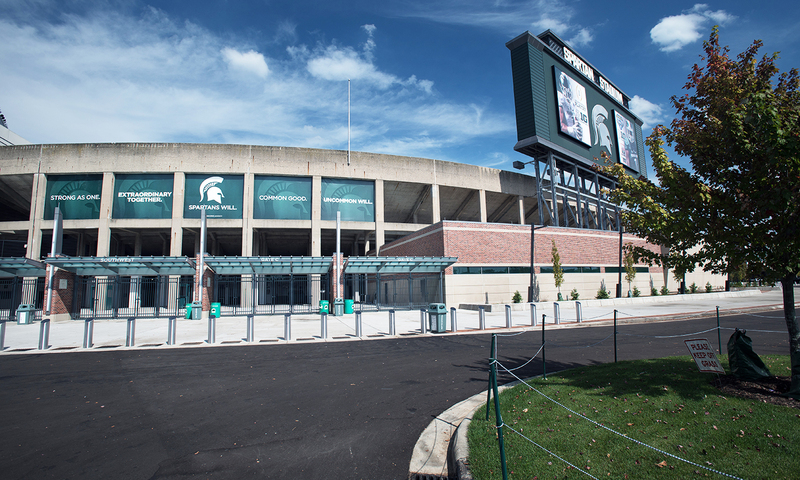 Before installation in Spartan Stadium, employees of Myers Plumbing were fully trained on fusion systems over a two-day period. This gave them ample time to become comfortable with the product and tools and ensuring that installation went smoothly and efficiently. According to Myers, the labor savings in making offsets and ease of coordination with other trades as changes were made on the pipe design were substantial. Aquatherm’s heat fusion process slashed the installation time for the water mains and branch piping by 50 percent. Initially, the biggest advantages to using this product were that the overall cost and build time were reduced. The piping assemblies were built in sections, in a controlled environment, and delivered to the jobsite the same morning they were scheduled for installation. Once onsite, crews made all the necessary connections within hours. The Aquatherm product is 75 percent lighter than steel. The significant weight difference allowed Meyers to prefabricate much larger sections of the plumbing trees. 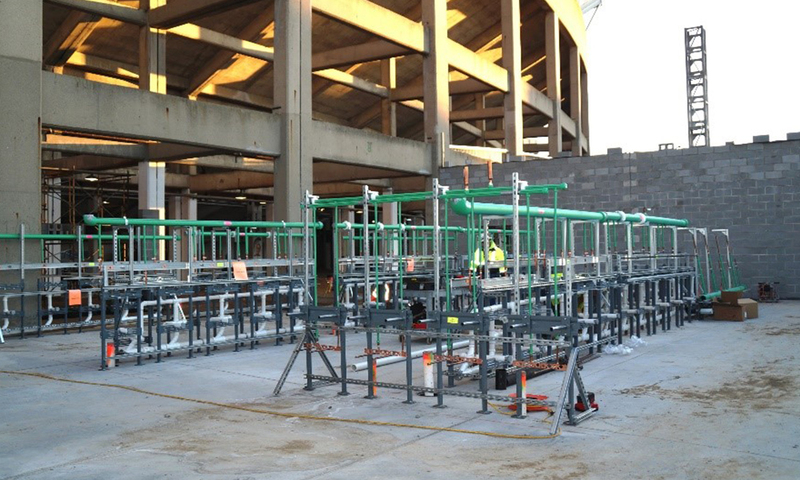 Due to the ease of transporting these larger sections and the ease of working with them during installation on site, the installers found that the weight of PP-R is a labor and back saver compared to copper and steel. The traditional method of building these plumbing systems onsite, in winter conditions, would have taken several days. By using the Aquatherm material and prefabbing these units, most of that took place out of sequence, ahead of the traditional schedule. This allowed subsequent contractors to start their portions of work much sooner. There was a 30 percent savings in manpower on this project compared to traditional plumbing projects of comparable scale. 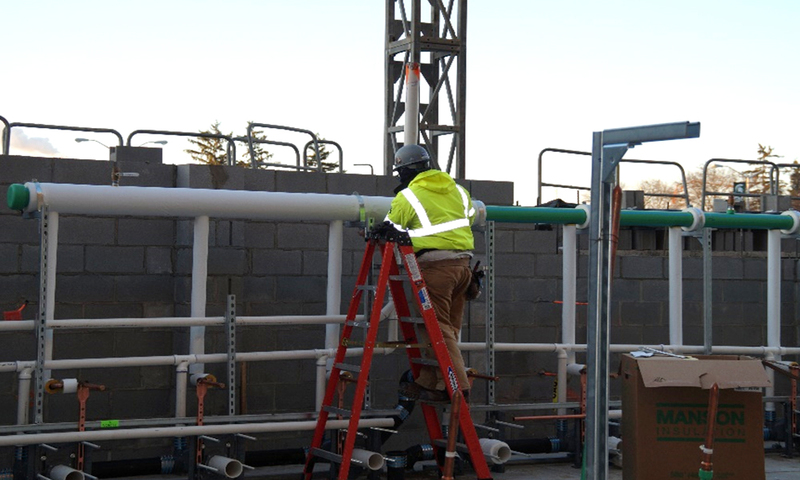 The combination of prefabricating the piping systems offsite and the shorter installation times once on site helped increase productivity and profitability while also creating a safer working environment for installation crews and the other general contractors on the project team. Moreover, PP-R has natural insulation properties, both for sound and for heat. This gives Aquatherm’s pipes performance properties that aren’t possible with other systems. For sound, PP-R absorbs vibrations, allowing the pipe to run at 8 ft/s whole generating the same noise as copper pipe at 3.5 ft/s. That means this piping doesn’t require vibration isolators, provided there is some limited mobility of the pipe on either side of the pump. The long term benefits are significant, as these pipes will often outlast the buildings in which they are installed, without major retrofits or maintenance. The same cannot be said for copper or steel pipes where corrosion, leakage and replacement can be extremely costly and have negative environmental impacts. Quality of life deteriorates quickly when pipes fail, and they can be both difficult and costly to repair or replace. Aquatherm’s pipes and fittings are low-impact to produce, extremely long-lived and fully recyclable. This helps builders get the most out of the material, which is the key to sustainability. For thermal insulation, Aquatherm’s faser-composite pipes have a low thermal conductivity: 0.70 btu*in/ft2*h*°F. This amounts to an R-value of about 1.4 per inch of pipe wall. The system’s natural R-value also improves uninsulated energy performance in areas where insulation is difficult to install. With this particular project, some insulation was left off domestic cold water piping in the mechanical room to observe if condensation or other negative results would occur with significant weather changes. 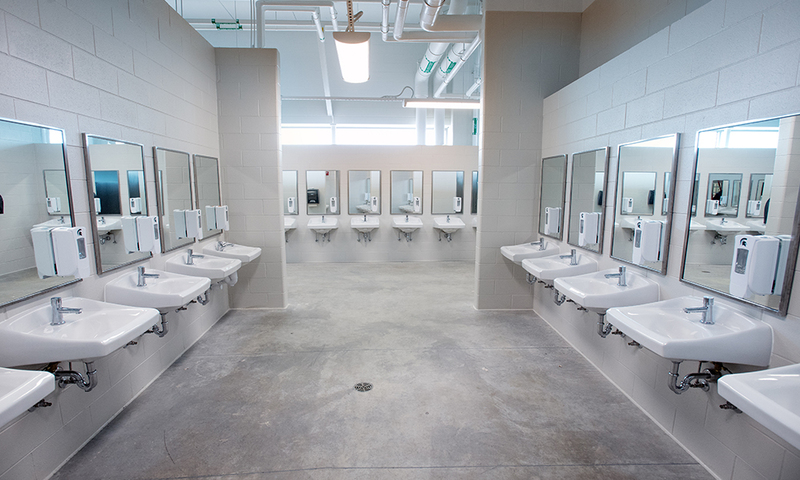 The bathroom area in the new addition is more “exposed to outside temperature“than the vast majority of buildings on campus, so this project will serve as a good test for the piping system’s response to inclement weather. 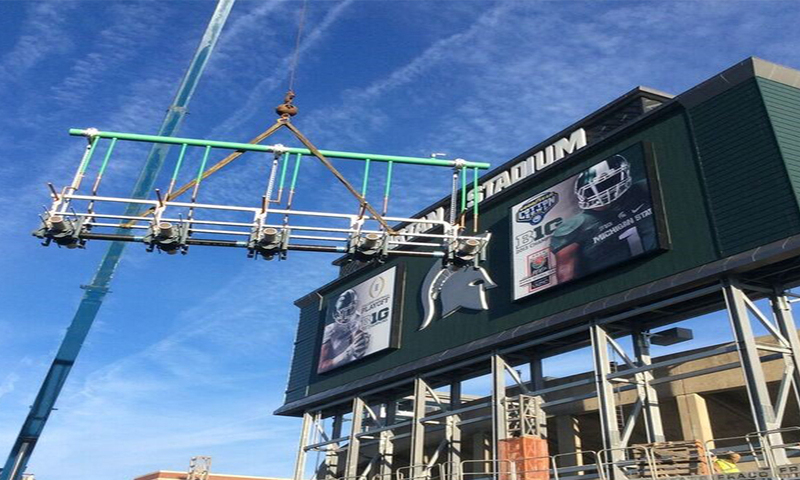 This may help MSU dictate the future designs and usage for utilizing this pipe. 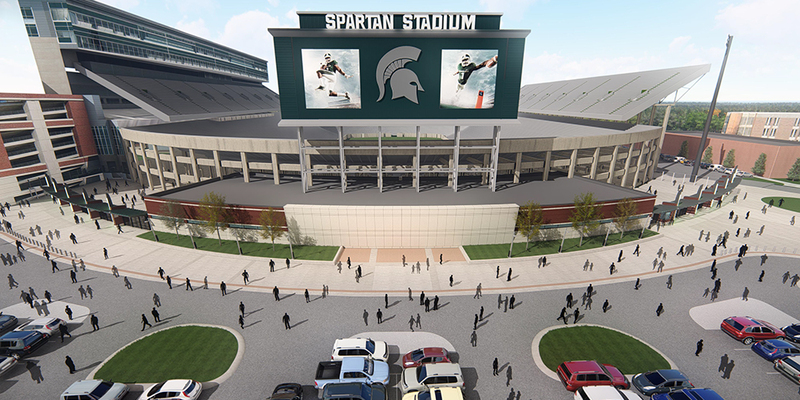 Michigan State University, Granger Construction and the entire project team experienced several benefits by utilizing a more innovative approach on the Spartan Stadium South End Zone Addition project, including cost and schedule efficiencies, increased safety and quality and significant sustainability benefits. The growing use of green building principles and new trends toward fast-track schedules and Lean construction techniques in today’s construction marketplace mean that innovation is no longer a luxury so much as a necessity. 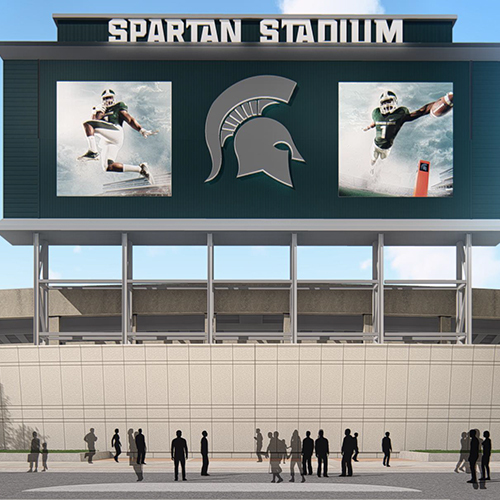 MSU’s South End Zone Addition is a good example of the impact forward-thinking can have on a high-profile project.